Every Spring is busy for me. I have to contact property owners, organize research protocols, test and organize equipment, and organize everything else I am working on to be set aside for the short but glorious nighthawk breeding season. Nighthawks are on the move, it seems, all the time. They migrate to South America every year and just when they get there, they have to turn around and come back to breed. I have posts on nighthawk migration here and here. But, they are back here in South Dakota now, chasing each other around, flying low, calling to each other and establishing pair bonds. They are fiercely intense and noisy birds. As well they should be, they have no time to lose. So much so, it’s hard to record this. But these folks in South Padre Island, Texas, did, where you can see 6-7 birds flying around at any one time. 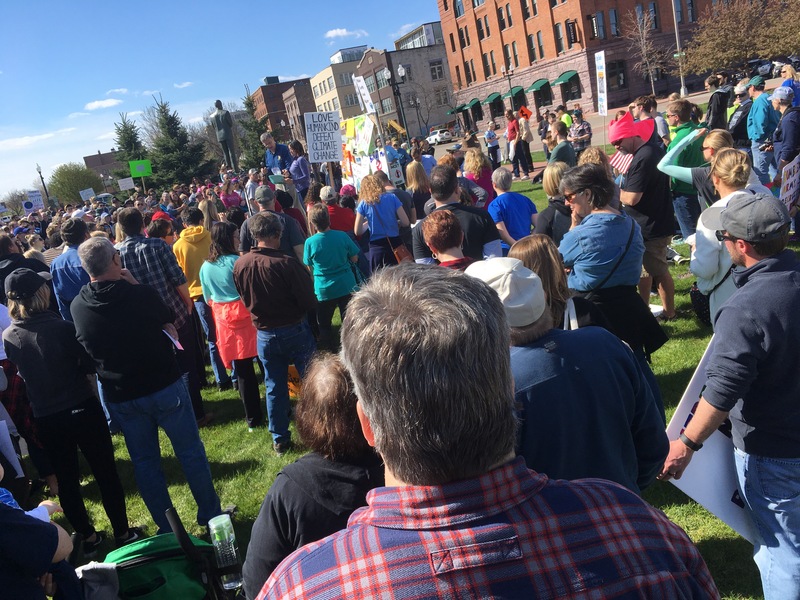 And with that in mind, I was happy to participate in Sioux Falls’ March for Science. It was a glorious day filled with people who value the science and people who do the science. 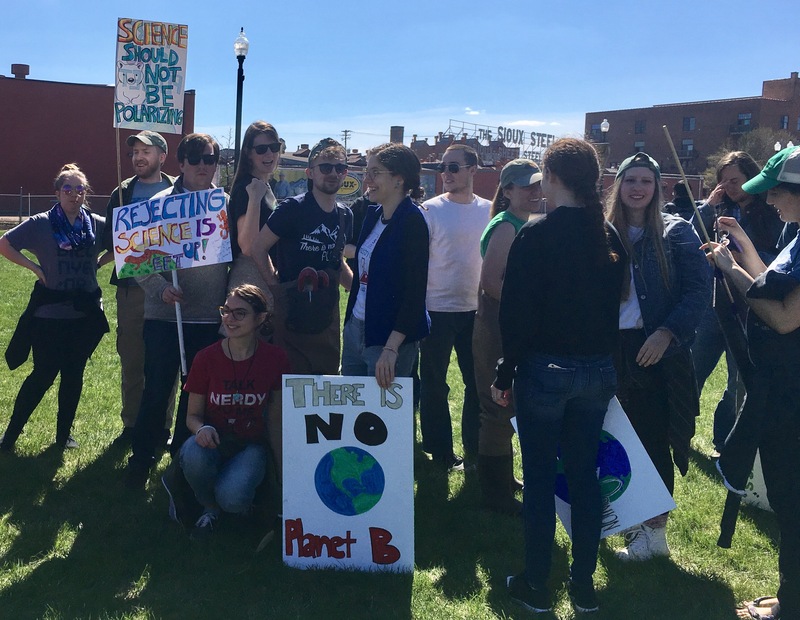 The day wasn’t about politicizing science but instead depoliticizing it, and reminding folks that good research isn’t about belief but instead about being informed. Every few minutes during the height of the migration season, ~20,000 Snow Geese pass by. 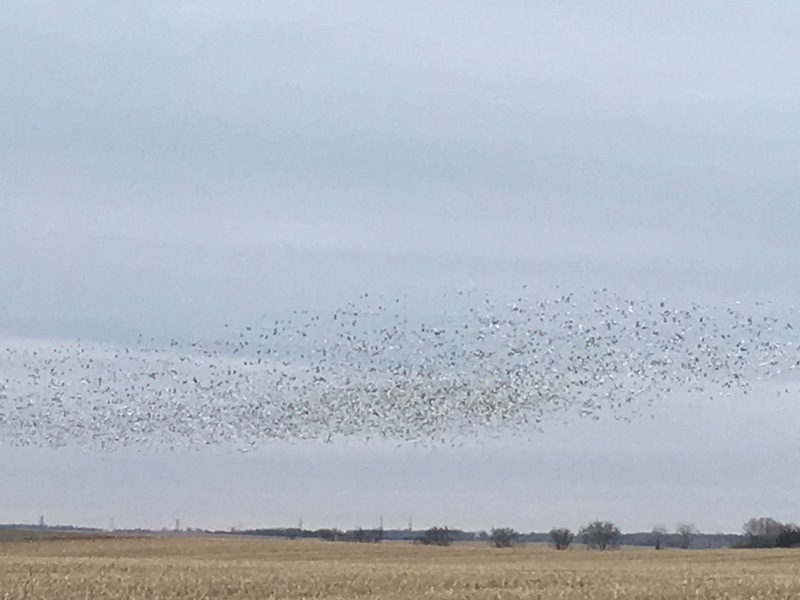 I mentioned migrating cranes in a previous post, but for sheer numbers alone, nothing beats the migrating geese, ducks, and shorebirds that pass through the Prairie Pothole Region. Check out this video I took in March. I’ve been helping out Lake Andes National Wildlife Refuge with their spring counts. Not only do they manage the refuge but countless Waterfowl Production Areas, acquired public lands or easements funded by Duck Stamps. It’s hard to describe what it’s like to count thousands of birds as they flush within minutes and try to pick out species. Most are Canada Geese, Snow Geese, American White Pelicans, and Mallards, but many are shorebirds and other waterfowl such as: Northern Pintails, Ruddy Ducks, American Widgeons, Green-winged Teals, Lesser Scaups, Common Mergansers, Buffleheads, Common Goldeneye, and Northern Shovelers. Most are on their way up to Canada, but some remain in South Dakota for the summer. Recently, I visited a friend in Taos, New Mexico. 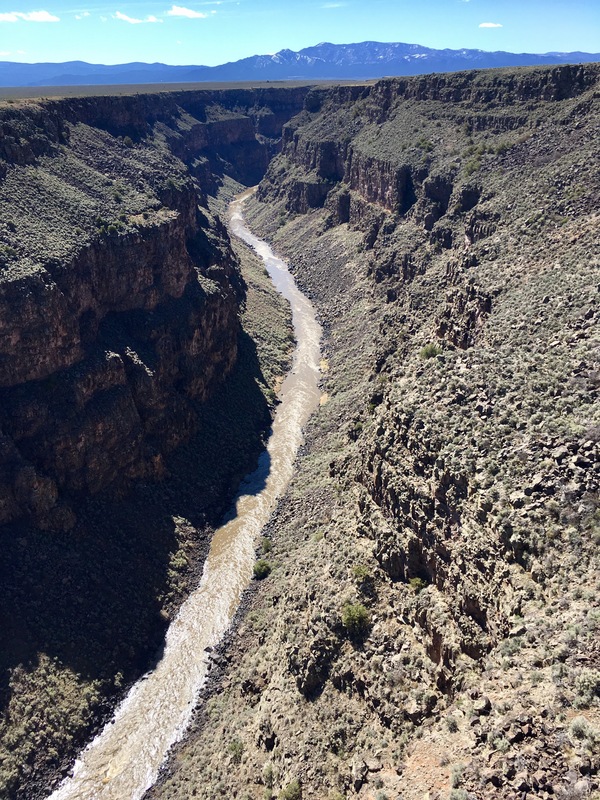 We made a trip out to the Rio Grande. In March and April, according to eBird, you can see Lewis’s Woodpeckers, Red-naped Sapsuckers, Ladder-backed Woodpeckers, Pinyon Jays, Steller’s Jays, Clark’s Nutcrackers, Common Ravens, Violet-green Swallows, Mountain Chickadees, Juniper titmouse, American Dippers, Western and Mountain Bluebirds, Canyon Towhees, Great-tailed Grackles, all of which I cannot see in southeastern South Dakota. Every Spring, millions of waterfowl and shorebirds migrate through the Northern Plains. The Prairie Pothole region, with its many lakes formed by receding glaciers, is an important stopover region for migrating birds. Travelers come from all over the world to see the Sandhill Cranes and later, the Whooping Cranes in the Platte River Valley of Nebraska. After 4 years of living here, I finally made the trek out to see them. If you are interested, check out these great websites: Nebraska Flyway and the Rowe Audubon Sanctuary. It’s quite a show. At Rowe, they offer tours with spotting scopes to make the most of your experience. Many of the hotels are very inexpensive, so it makes for a great road trip to see the “flyover states”.